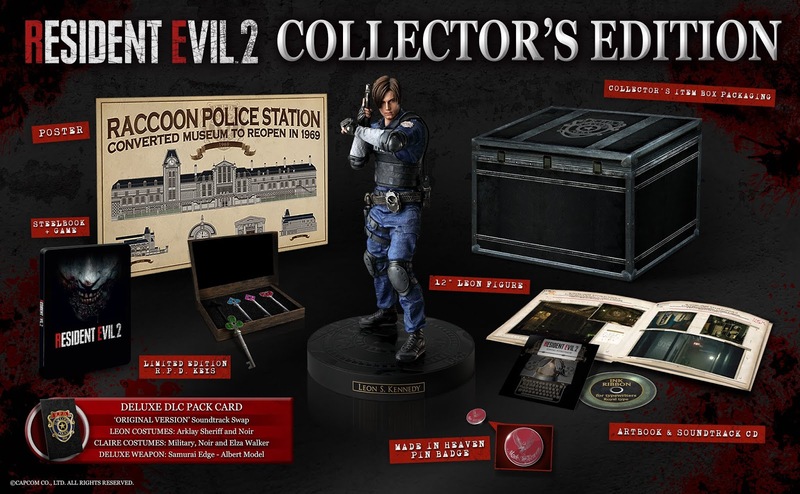 A physical Resident Evil 2 Collector’s Edition will be launching across Europe alongside the Standard Edition for PlayStation 4 and Xbox One on January 25, 2019. Originally released in 1998, Resident Evil 2, one of the most iconic games of all time, returns completely reimagined for modern platforms. Resident Evil 2 offers a fresh take on the classic survival horror saga with breathtakingly realistic visuals, heart-pounding immersive audio, a new over-the-shoulder camera, and modernized controls on top of gameplay modes from the original game. Resident Evil 2 will launch January 25, 2019 both physically and digitally for the PlayStation 4, Xbox One and Windows PC.